The leading international maritime trade fair takes place at the Hamburg Messe und Congress fair complex every two years. 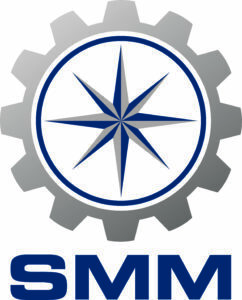 With roughly 2,300 exhibitors and 50,000 visitors from all continents, SMM is the world’s most important industry event. It covers the entire value chain of the maritime sector, bringing together international decision-makers and experts and providing a platform for highlighting innovative technology. The 2018 fair will take place from 4 to 7 September, once again under the honorary patronage of German chancellor Dr. Angela Merkel. The four-day event is preceded by an inaugural international conference, the Maritime Future Summit (MFS), on 3 September 2018, one day before the exhibition opens. This year’s SMM motto, «Trends in SMMart Shipping”, is right on track: The maritime sector is driving the use of digital solutions. From network-integrated fleets and smart ship control to 3D printing and autonomous shipping, smart next-generation technologies will be showcased at exhibition stands along the Digital Route and discussed in the accompanying conferences. Across the maritime industry, the digitalisation process is in full swing. Most companies involved in shipping, shipbuilding and related disciplines are busily investigating ways of using smart solutions to improve efficiency and sustainability, and optimise work processes. As a topic relevant to all parts of the value chain, digitalisation was chosen as the overarching theme for SMM 2018: Apart from high-tech products enabling sensor-based remote monitoring of ship operations, satellite-supported platforms and control modules interlinking all ships of a fleet are high on the agenda, as well. Mobile tracking and booking apps as well as customer portals are now being developed to streamline the logistics chain. «Digitalisation is not the goal, nor is autonomous shipping; these are tools and ways you might develop it. The goal is maritime transport systems that meet the needs of the next generation,” says Clarkson Research president Martin Stopford. The 2,289 exhibitors from 69 countries present at SMM will provide interested companies with plenty of choices to custom-tailor product packages that will bring their digital capabilities to a new level. One of the most fascinating topics is unmanned shipping. According to the SMM Maritime Industry Report, more than one-third of market players believe it to be a realistic option for the future. Also, for the world of industrial production, the “fourth industrial revolution” and the Internet of Things are key initiatives. Efficient and network-integrated process control allows manufacturers to meet customer needs faster, and deliver bespoke solutions with ease. Additive manufacturing, or 3D printing, is beginning to play a key role, opening up entirely new options for suppliers and manufacturers. For the first time ever, SMM will present a special exhibition on 3D printing, arranged jointly with the Northern German Maritime Cluster (MCN). In addition to seeing various exhibitors specialising on additive manufacturing, visitors will be able to listen to intriguing lectures and watch live presentations, including those from member companies of the newly-established “Forum 3D Maritim”.